I enjoy painting mainly still life, but not the typical flowers & fruit. I like to take everyday objects, ones not expected to be seen as objects of art, and create my interpretation of them. I do not paint in a realistic style. I once read that if you could not improve on what you wanted to paint you might as well take a photograph. I really believe this. I want to put my own interpretation on the objects. I like to sharpen the contrast between the lights & the darks, or exaggerate colours. 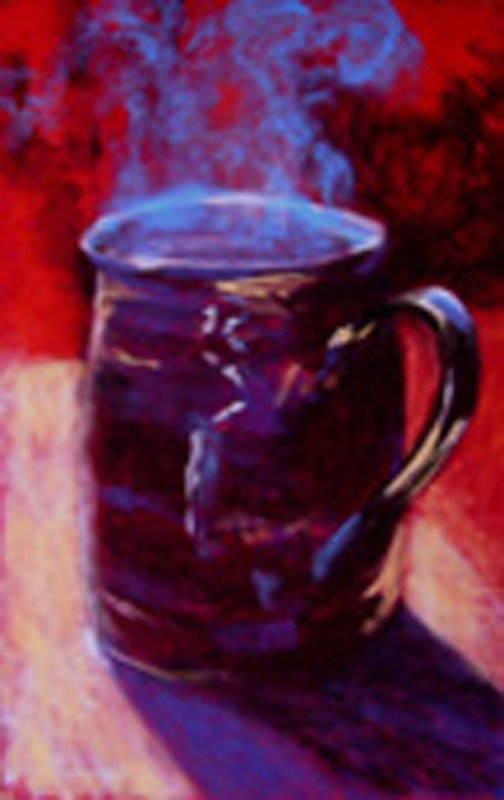 Sometimes the objects I paint are obvious, sometimes they are distorted and sometimes they become completely abstracted.